Brasilia July 13 (IANS) Brazilian former President Luiz Inacio Lula da Silva who is in prison serving a sentence on a corruption conviction was acquitted Thursday in one of the seven cases he is facing. 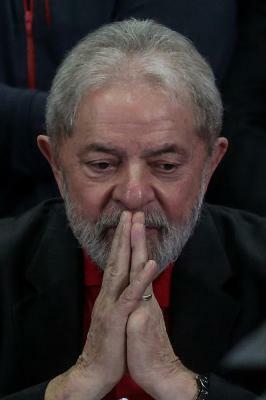 Federal Judge Ricardo Leite found Lula not guilty of the obstruction of justice charges that were brought against him based on the testimony of former Sen. Delcidio do Amaral who had declared that the former president asked him to bribe a witness Efe reported. Prosecutors had urged the judge to acquit Lula in this case acknowledging last September that there "wasn t enough evidence". Leite also acquitted six other implicated people including Do Amaral the senator s former chief of staff Diogo Ferreira and banker Andre Esteves. Do Amaral was arrested in 2015 after a recording was released which showed him offering money to former Petrobras executive Nestor Cervero to avoid mentioning him during the corruption investigation regarding the state oil company. At that time Cervero was in jail on corruption charges and was negotiating a plea bargain with prosecutors which involved identifying his accomplices implicating dozens of politicians and many of the country s most important companies. Do Amaral confessed and accused Lula of allegedly having ordered him to deliver hush money to Cervero. Lula who was Brazil s president from 2003-2011 has been in prison since April 7 after an appeals court upheld his July 2017 conviction for corruption in a case based almost entirely on plea-bargained testimony from people already convicted as part of the sprawling Petrobras investigation. The 72-year-old Lula who denies any wrongdoing remains Brazil s most popular politician and his Workers Party (PT) has proclaimed him its candidate for the October presidential election though the chances of his name appearing on the ballot appear slim.